Each of these common pests can cause significant damage in large numbers. 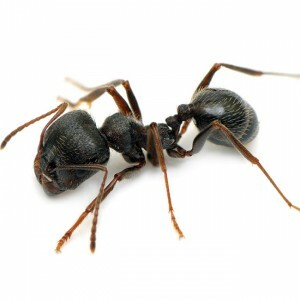 Fortunately, effective pest control is easier and safer to achieve than you might expect. When you choose Go Green Pest Control to identify, eliminate and prevent current and potential pest problems, you can rest assured that each treatment will be effective and safe as we use only the most advanced, organic pest control products and techniques available. During your initial visit, a trained Go Green Pest Control technician will thoroughly inspect your home to find any and all traces of pest activity. Once the inspection has been completed, your technician will eliminate any current pest populations then treat the perimeter of your structure to prevent future infestations. After your home or business has been effectively treated, your technician will work with you to create a schedule for regular services. These services will generally consist of outdoor only treatments that are conducted to strengthen the pest barrier created during the initial visit. To schedule an initial service or for more information regarding our green Albuquerque pest control services, please call our office at 505-404-1440 to speak with a Go Green Pest Control representative.